Scientists use different instruments to analyze materials that have properties on the micro and nano scale. Sometimes basic laboratory equipment, like optical microscopes, are unable to perform tasks at small length scales. Different instruments and techniques are used depending on the data that the scientists or engineers wish to collect. 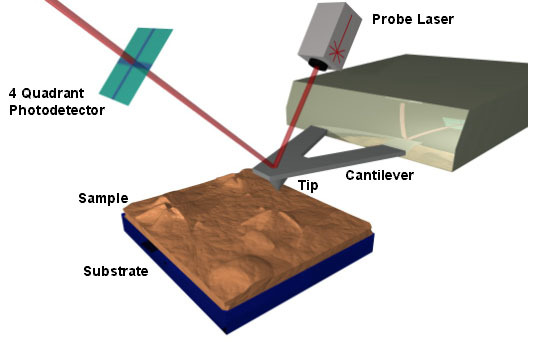 Some of the more popular instruments include Atomic Force Microscopy (AFM), Electron Imaging (SEM, TEM and STEM), X-ray Diffraction, and NMR/MRI. Links to the right provide more information and activities on these topics.